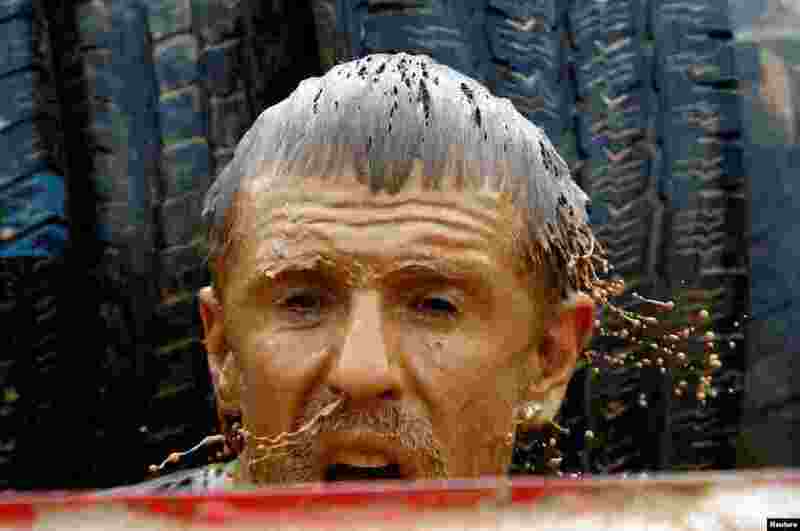 5 A man takes part in a "Bison race" competition with different kind of obstacles in a field near the town of Lahoysk, Belarus, April 29, 2018. 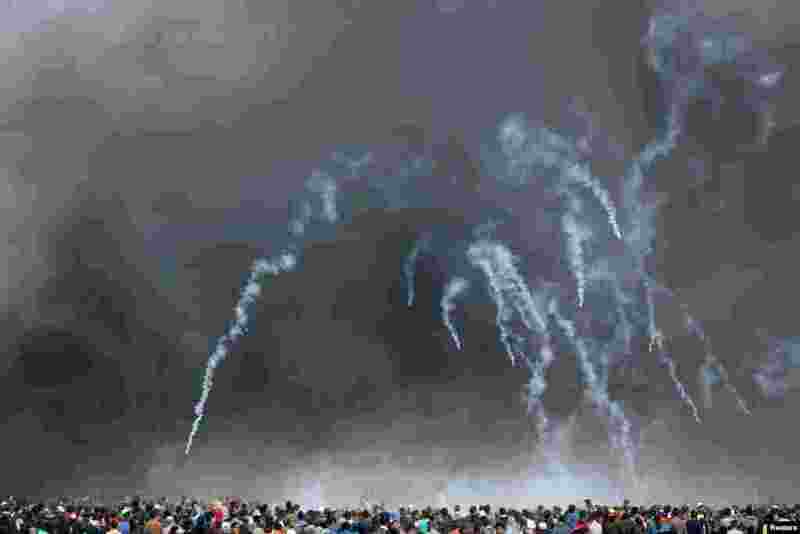 6 Tear gas canisters are fired by Israeli troops at Palestinian demonstrators during clashes at a protest demanding the right to return to their homeland, at the Israel-Gaza border in the southern Gaza Strip. 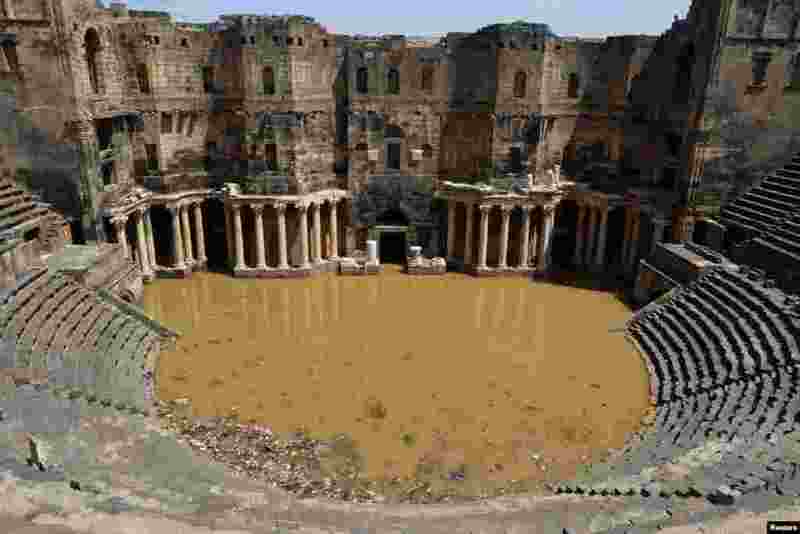 7 The 2nd century Roman amphitheatre is flooded following heavy rain in the historic southern town of Bosra al-Sham, Syria, April 29, 2018. 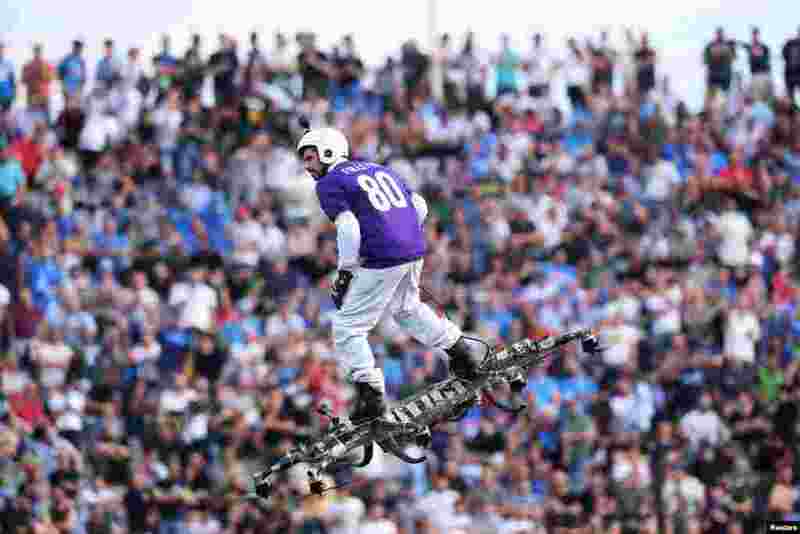 8 A Fiorentina fan flies with a drone inside the Artemio Franchi stadium in Florence, Italy, April 29, 2018, before the Italian Serie A football match between Fiorentina and Napoli.